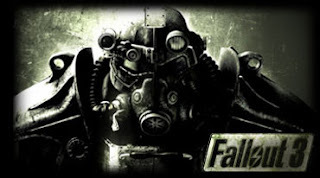 August 20, 2008 (Rockville, MD) – Bethesda Softworks®, a ZeniMax Media company, announced today that its highly anticipated title, Fallout® 3, will be available on store shelves and online in North America on October 28, 2008 and in Europe on October 31, 2008. Developed at Bethesda Game Studios – creators of the 2006 Game of the Year, The Elder Scrolls IV: Oblivion® – Fallout 3 is slated for release on the Xbox 360®video game and entertainment system from Microsoft, PLAYSTATION®3 computer entertainment system, and Games for Windows. Fallout 3 features one of the most realized game worlds ever created. Set more than 200 years following a nuclear war, you can create any kind of character you want and explore the open wastes of Washington, D.C. however you choose. Every minute is a fight for survival as you encounter Super Mutants, Ghouls, Raiders, and other dangers of the Wasteland. Hailed as one of the most anticipated games for 2008, Fallout 3 has already won numerous awards including Best of Show from the official Game Critics Awards at E3 2008, a selection voted on by an independent group of journalists from 36 leading North American media outlets that cover the videogame industry. Fallout® 3 has not yet been rated by the ESRB.